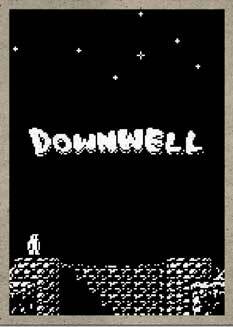 Downwell is a curious game about a young man with guns for boots venturing down a well in search of untold treasures. Gun Boots: Blast your way through crumbling stone and cranky creatures as you fall further and further down the well. Unlock new weapons and upgrades for your high-powered footwear from snazzy lasers to powerful shotgun bursts. Gems & Upgrades: Release the shiny gems locked within the rocky terrain or tucked inside the creepy inhabitants of the well to purchase special items or forge on to special checkpoints to unlock weapon upgrades like friendly drones and red-hot bullet casings. Creepy, Crawly Baddies: The well is crawling with enemies that want nothing more to stop you in your gun boot tracks! Battle everything from slimy worms and frogs to menacing skeletons and cave trolls! Unpredictable Well: The well itself is full of surprises; changing with each new trip down its formidable walls – no two adventures are exactly alike for our young hero. Make your way further and further down into a darkness filled with nasty creatures and mysterious secrets and collect the spectacular red gems scattered about the rocks. Step into an oddly placed shop to buy some helpful items or level up between caverns to battle well dwelling monsters and uncover hidden caves filled with riches and relics. No two trips down the well are ever the same!